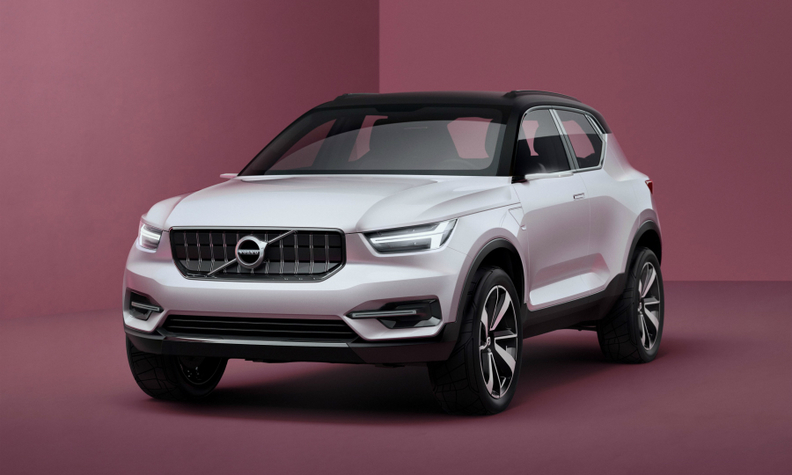 The Concept 40.1 hints at Volvo's first compact SUV, the XC40, which will be the debut model from the automaker's crucial CMA platform. Editor's note: A previous version of this story incorrectly stated that no premium automaker has won the European Car of the Year award. Premium brands have won the award four times since 1964. Volvo probably wouldn't be enjoying its record-breaking renaissance without a badly needed pep talk, a confidence-building face-lift and the arrival of a new owner with a lot of cash and even more guts to take a chance on the once-underachieving brand. The encouraging words led to a well-executed revamp of the XC60, which propped up Volvo in the lean years after its 2010 sale by Ford Motor to Chinese billionaire Li Shufu’s Zhejiang Geely Holding, giving the Swedish automaker enough time to start delivering on its $11 billion promise to become a true alternative to Germany's dominant premium players. Today Volvo is on course to have its third straight year of record-breaking global sales. Its first-quarter operating profit margin jumped to 7.5 percent from 0 percent during the same period of 2015, putting it ahead of Mercedes-Benz. In addition, its first post-Ford vehicle, the XC90, has won more than 100 global awards including 2016 North American Truck of the Year. The XC90 also finished just 18 points shy of taking home the 2016 European Car of the Year, an honor that has never gone to an SUV and hasn't been won by a premium brand since 1983. Volvo also beat Mercedes, Jaguar, Kia and Renault to claim the Brand Design Language category at the Car Design Awards ceremony last month. "I'm positive about their future," Ian Fletcher, principal analyst at IHS Automotive, said. 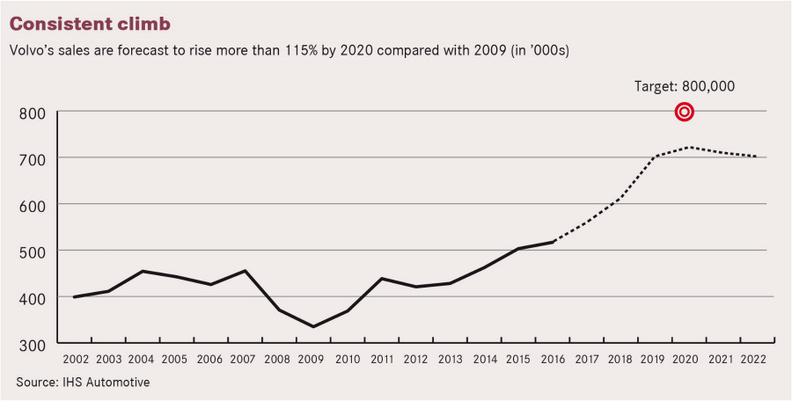 "This upswing is not going to come to an end anytime soon." It wasn't long ago that Volvo was really doubting itself, which takes us back to that pivotal pep talk. It happened five years ago, not long after Volvo made Peter Mertens its head of r&d. Mertens remembers finding an engineering team that was frustrated and downtrodden. "They were under so much pressure and were really being punished for not living up to standards," Mertens said, referring to Volvo's feeling that it could not adequately compete against Audi, BMW and Mercedes as part of Ford because it lacked the independence that it has today to create its own architectures and powertrains as well as add top-of-the-line technologies. 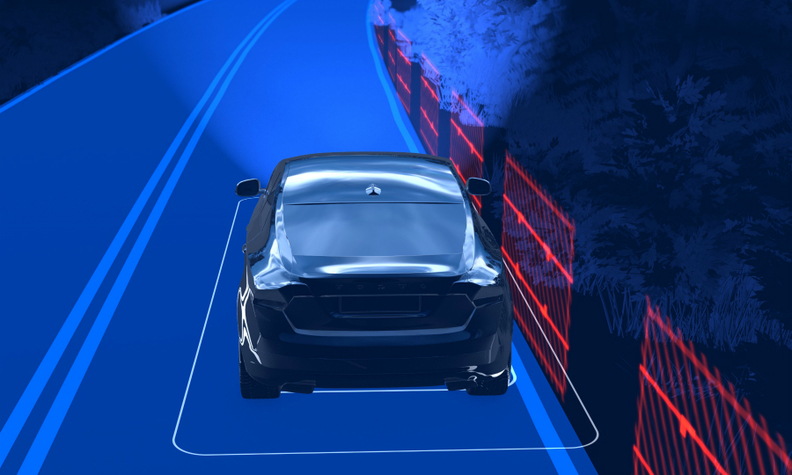 "The first thing I did was say: 'Guys, you have done a fantastic job using [Ford] Mondeo technology. Don't be victimized by the circumstance you were working under. Get that behind you. And, secondly, stop being a slave of the process. The only thing that matters is product, product, product." Mertens said the first test for his team was what he called "a complete re-skin" of the XC60. Since undergoing the face-lift, the XC60 has become Europe's top-selling premium midsize SUV, ahead of models such as the Audi Q5 and BMW X3. "We are selling XC60s like hotcakes," Mertens said, adding that the success provided a massive confidence boost to his team. "Now we unleash the power. We will only do what we are proud of so we can compete head to head with our premium competitors." 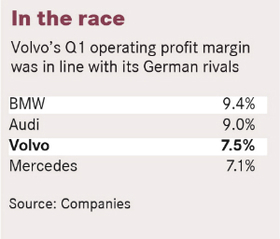 What's striking when speaking to Volvo's leaders is that they still don't consider themselves a member of the elite class of premium automakers. That won't happen until Volvo finishes the next phase of its revival. 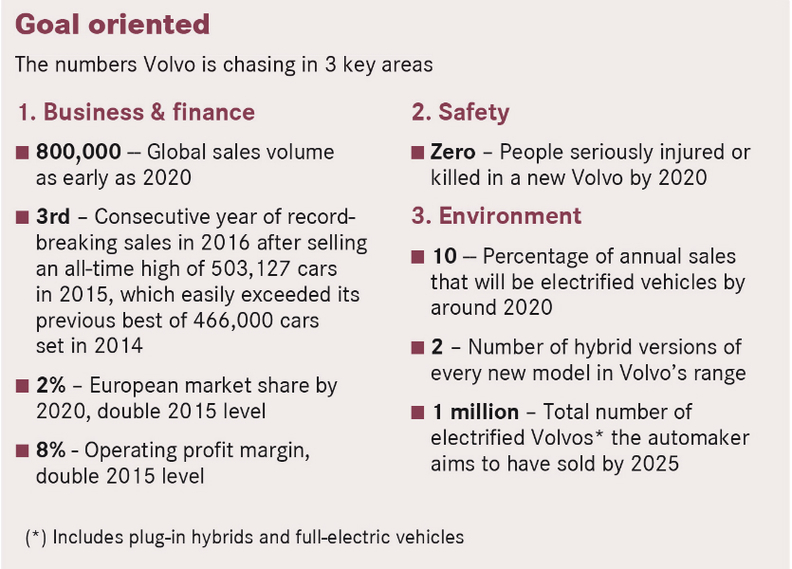 "Once completed, Volvo will have ceased being a minor automotive player and taken its position as a truly global premium car company," Volvo CEO Hakan Samuelsson said in a January release that also announced the company's record 2015 global sales of 503,127 and reiterated its aim to boost volume by another 300,000 by around 2020. 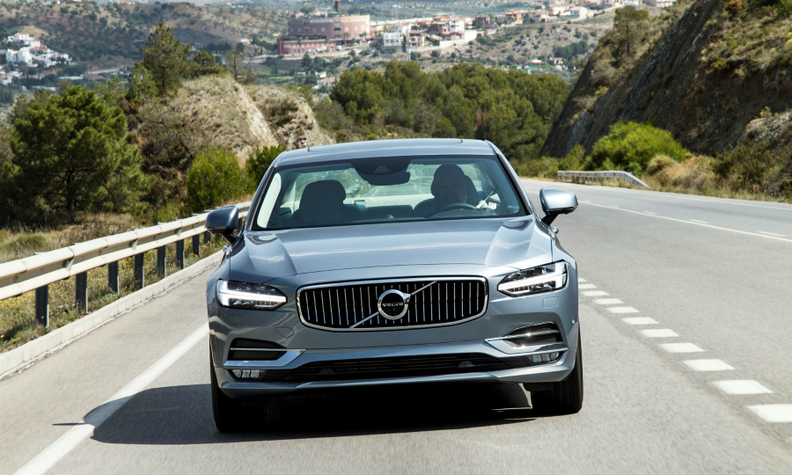 That's just one of the Volvo’s goals, which include consistently achieving an 8 percent operating profit margin and doubling its European market share to 2 percent. To reach its sales target Samuelsson, who has been CEO since late 2012, is heavily counting on the automaker’s new compact modular architecture (CMA). "We need a platform that can make us more premium so we can produce no-compromise Volvos. That is what this platform offers," Samuelsson said at the CMA's May debut in Gothenburg, Sweden. The first CMA car will be the XC40 compact SUV, which will compete against the BMW X1 and Mercedes GLA when it goes on sale worldwide next year. Volvo showed a concept of the XC40 at the event as well as a second compact prototype that blends hatchback, wagon and sedan attributes. It was Volvo's way of showing its intentions to greatly expand its compact family without fully committing to any additional body types. Volvo’s compact range currently consists of the V40 hatchback and V40 Cross Country, neither of which is sold in the U.S.
To better compete in the U.S., where Volvo aims to lift sales to 100,000 in the midterm from 70,047 last year and a recent low of 53,952 in 2010, as well as in China, Samuelsson strongly hinted at offering a compact with sedan attributes. "I think more sedan-like cars could be very interesting especially as we see the growth potential in Asia and the U.S.," he said. One model that has captured Volvo’s attention is the Audi A3 sedan, which made its U.S. debut in April 2014 and arrived in China five months later. Volvo design boss Thomas Ingenlath said the A3 "shows the very strong power of the sedan" in the compact segment. However, he said that if Volvo joins the segment its offering would be different from the A3, which he considers "almost too retro." Said Ingenlath: "I think we can be a bit more modern in the interpretation of what a sedan can be." Volvo said its new compact cars will have innovative connectivity services, including the ability to share a digital key to allow another person temporary access, plus the world's most advanced standard package of safety features, all of which will trickle down from the automaker's higher-end 60 series and 90 series models. Volvo also promised that the CMA range will include a full-electric vehicle as well as variants with either a diesel or gasoline engine or a plug-in hybrid powertrain. Volvo didn't say when the battery-electric compact would arrive or share details on which CMA-based model would offer the technology. Volvo expects the new S90 sedan (shown) and V90 station wagon to win sales from the BMW 5 series and Audi A6. CMA is the second new platform Volvo has launched since being bought by Zhejiang Geely. The first was its scalable product architecture (SPA) that underpins the 90 series vehicle and will be used on the new-generation XC60, V60 and S60. Since becoming part of Zhejiang Geely, Volvo also has: added a new engine range that includes a growing family of plug-in hybrids; expanded its global manufacturing capability with the addition of two plants in China while a U.S. factory with initial capacity for 100,000 cars a year is set to start production in 2018; and it has boldly pushed itself into the race to offer autonomous driving capabilities in its models. A key test will be the debut next year of a 100-car fleet of fully autonomous XC90s that will be part of a public pilot program in Gothenburg. IHS's Fletcher doubts Volvo would have been allowed to make these types of major investments as a member of Ford or any other large family of automotive brands. "When you are part of a big OEM you have to fit in with the direction of the group. This can lead to some restrictions," Fletcher said. Volvo says its XC90, V90 and S90 are the first vehicles in the premium midsize segment to offer a system that prevents the car from running off the road at speeds between 65 and 140kph. The technology (shown) is standard equipment on the 3 models. Kent Falck, who is director of Volvo's 90 series, which includes the XC90 as well as the soon-to-be launched S90 sedan and V90 station wagon, left the company during Ford's ownership because of these restrictions. He was lured back after Ford announced its plans to sell Volvo. He told Automotive News Europe last month that he was intrigued by the chance to start from nothing, pointing out that Volvo relied on Ford for nearly everything. "You have a choice," Falck remembered. "You can lay down and die or start with a blank piece of paper." Volvo executives chose the latter. They worked for a half year to determine the company's aims and to map out a plan for its future. "When we showed it to [Zhejiang Geely Chairman] Li Shufu he knew exactly what he had bought." IHS's Fletcher says the positive change in the mood at Volvo has been dramatic. "The success of the XC90 and the arrival of the S90 and V90 have bolstered their confidence," he said. Today, Mertens no longer has to deliver uplifting speeches to his team, which he said is working harder than ever before -- and loving every minute of it. "They come in every morning with a big smile on their face because they can do the cars they want," Mertens said. "We’re making good money. They are able to work on autonomous drive and electrification. What else can you ask for if you're a good engineer? That's the place you want to be."